Diaspark provides simplified and full-service eCommerce solutions that deliver a unified brand experience across all channels for their customers. Our eCommerce offerings cover the entire gamut of development services from ideation to launch along with the use of latest technologies to deliver exceptional service excellence. Our team of dedicated experts develop online stores using the best-in-class technologies to deliver compelling user experiences to customers. Diaspark’s eCommerce services are focused on creating scalable solutions that drive maximum website traffic and increase conversions. Our team have the know-how of the best practices of eCommerce and assists you on the transformation journey to provide rich digital experiences on web. Our CMS customization services enable a robust back-end administration to create a faster and easier online customer shopping experience. Our team of experts focus on customization, reliability and scalability to create engaging interfaces for your customers. We seamlessly integrate Inventory, CRM, Finance & Accounting Systems, Order Management System, ERP, and other systems to e-commerce sites. Our development services include custom development for new and/or existing websites, and addition of functionalities or extending the capability of existing store. Our custom data reporting provides valuable insights on customers’ behavior and the site performance and enable create a profitable strategy. Diaspark offers end-to-end Sitecore Commerce Services from consulting to implementation and support. Our team of experts follow agile development approach to deliver contextual customer experiences. 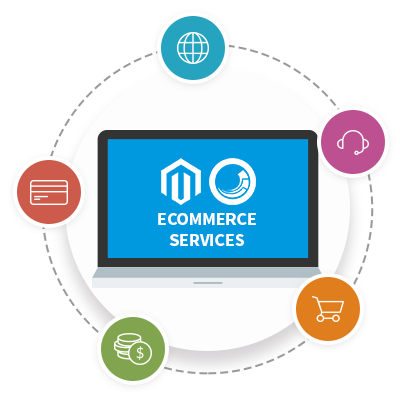 Diaspark’s Magento Commerce Services support the entire eCommerce lifecycle including planning, development and optimization to realize the true potential of Magento investment.